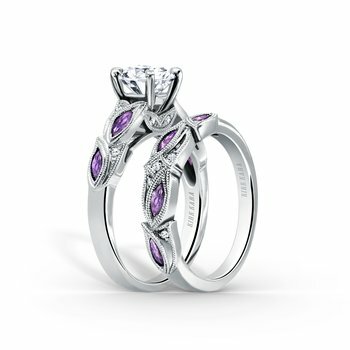 This nature-inspired design with floral details is from the Dahlia collection. 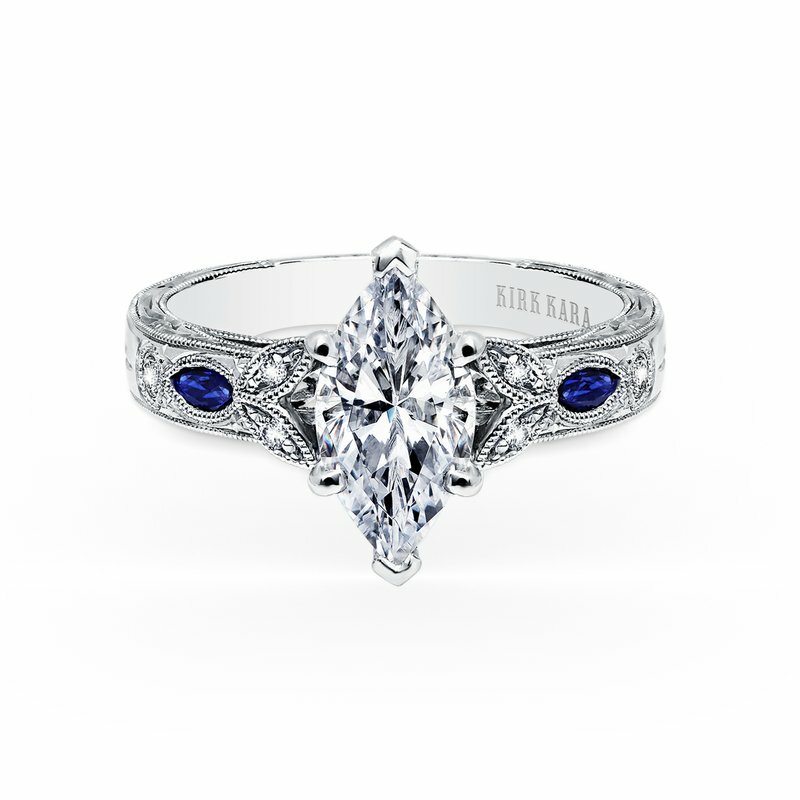 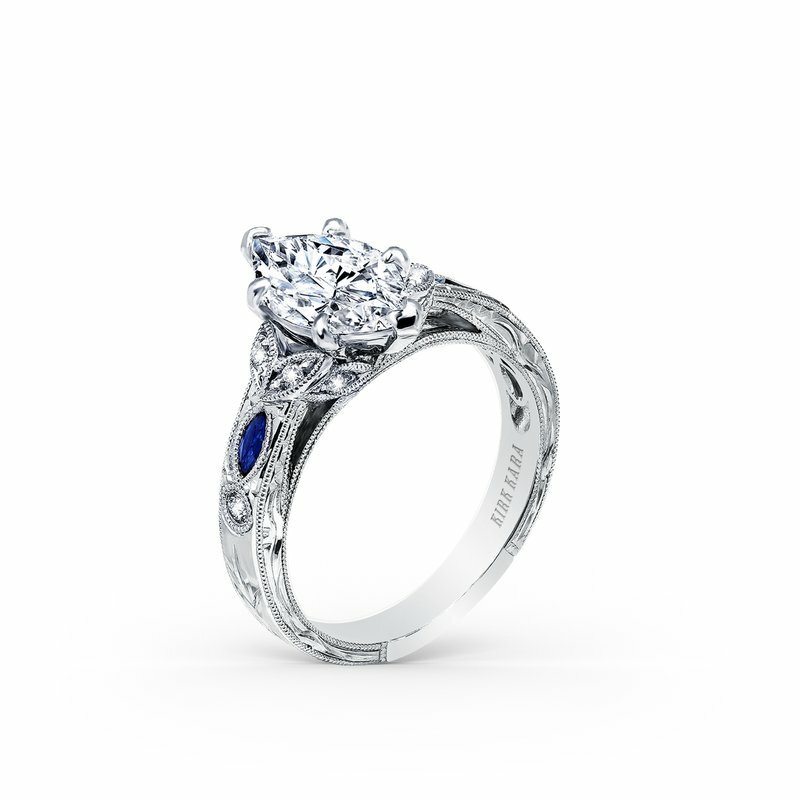 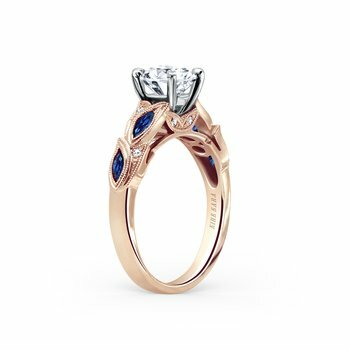 It features 1/8 ctw of diamonds and 2 blue sapphire marquise. 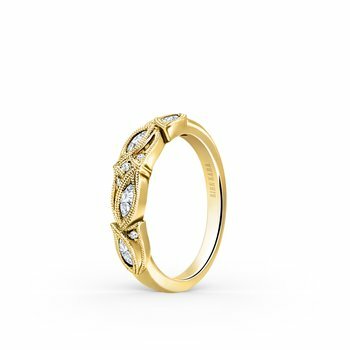 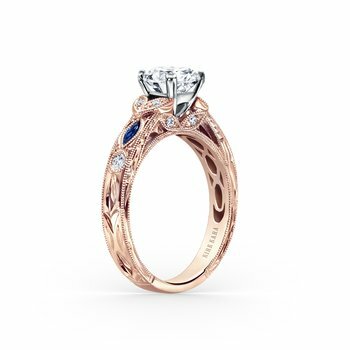 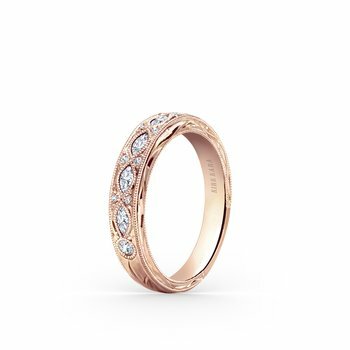 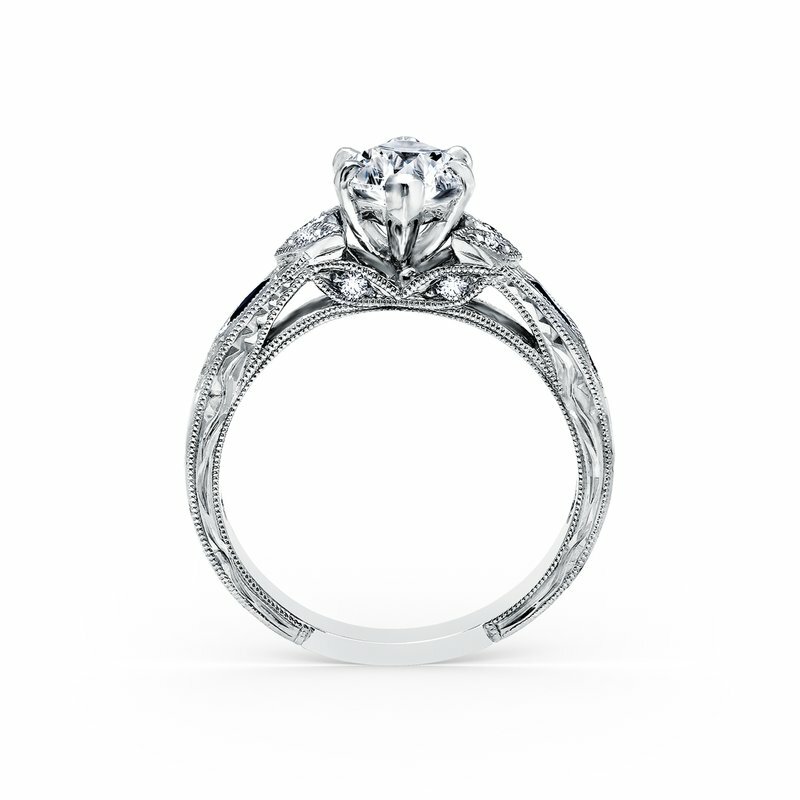 The signature handcrafted details include floral hand engravings, peek-a-boo diamonds and milgrain edging. 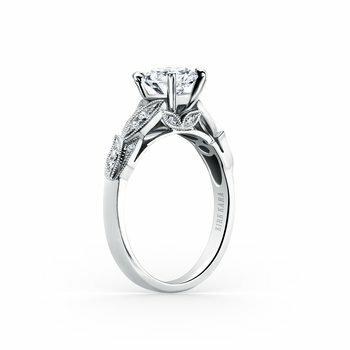 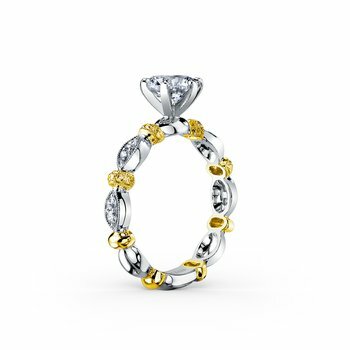 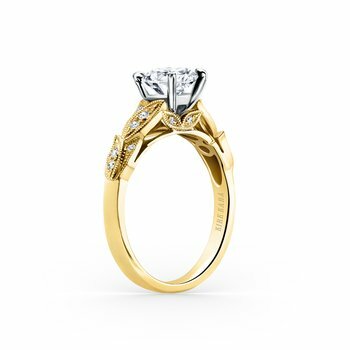 The center 2 carat marquise stone (shown) is a customized option.